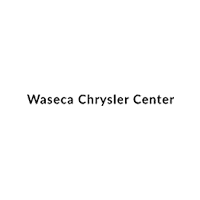 At the Waseca Chrysler center we proudly make customer service our #1 priority. We will do what it takes to give our customers a positive and stress-free experience. And that is why, we offer all shoppers at the Waseca Chrysler center a special ‘guarantee’. Please call us for more details or stop by the dealership and ask what we can do for you. We are standing by to aid you in all of your automotive needs – from new and used car shopping, to parts orders, to service and repair! · Find ANY vehicle you’re looking for! · Find every available discount and rebate! · Pay top $$$ for your trade! · Provide fast, friendly service! · We even work with poor or no credit customers! · Do everything we can to earn your business!